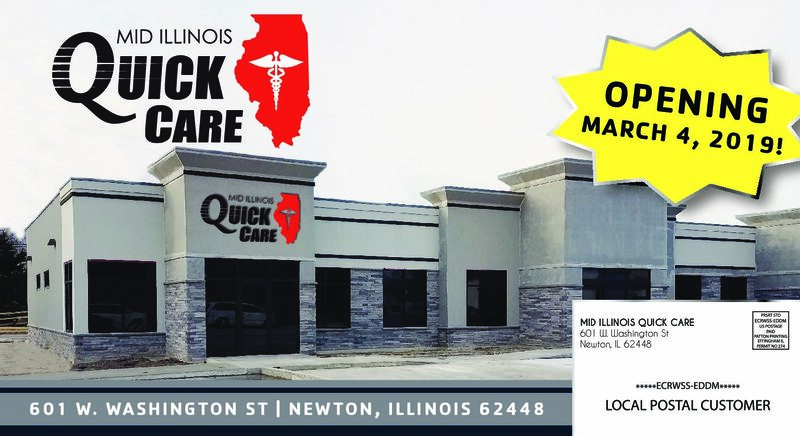 We would like to introduce our newest clinic to the group, Mid Illinois Quick Care. The clinic is located in Newton at 601 W Washington St. They are an urgent care clinic that accepts walk-ins or you can contact them at 618-783-0954 for an appointment.